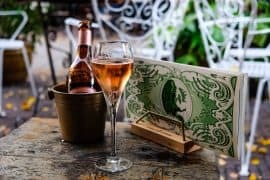 It’s obvious that this family-run eatery is the work of people with a deep love and respect for food. The quintessentially Dutch fried kibbeling is prepared according to an old family recipe. 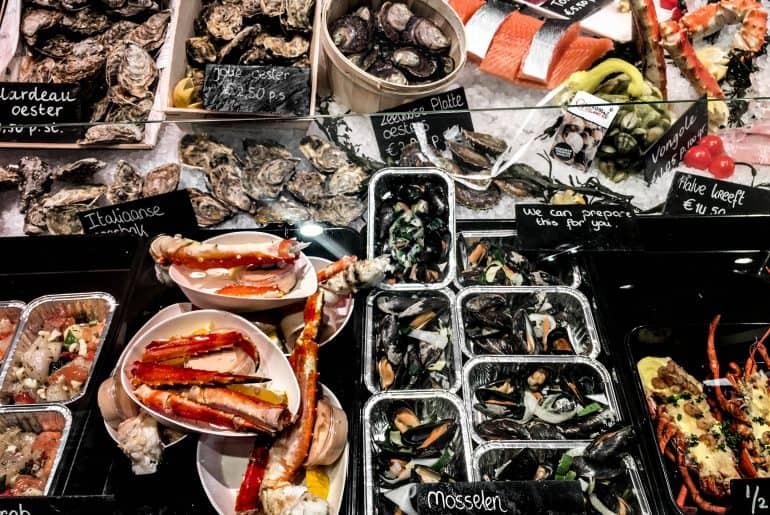 Besides fried fish you’ll also find king crab legs, fresh tuna, mussels, oysters and clams – all prepared while you wait with friendly service and reasonable prices. 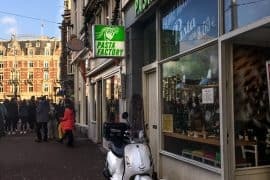 This is a must-eat if you’re visiting the Netherlands (or live here) and want to sample something truly Dutch. 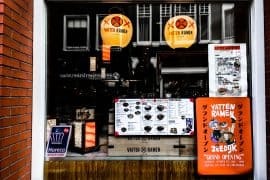 One of the benefits of working in the centre of Amsterdam is that there’s no shortage of interesting places to eat at lunchtime. 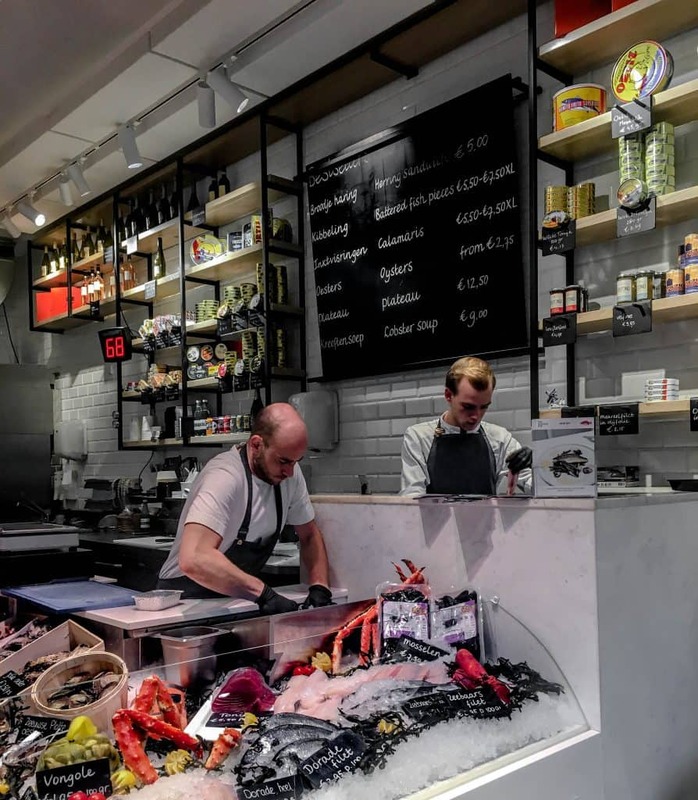 I’ve steadily been trying different food in the area over the past few months and when I happened to visit The Seafood Shop on Leidsestraat for lunch last week, I was really impressed. It was so good I went back this week and took my coworker. 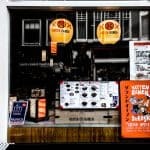 You’ll find The Seafood Shop on a busy corner of the Leidsestraat, just a few minutes walking from Leidseplein on one side, and Kalverstraat on the other. The Bloemgracht aka floating flower market is also nearby. I had never heard of this restaurant before visiting. I noticed it because I was walking by and saw a lot of very happy looking people inside devouring fried fish sandwiches. Then I smelled the fish and I was sold. 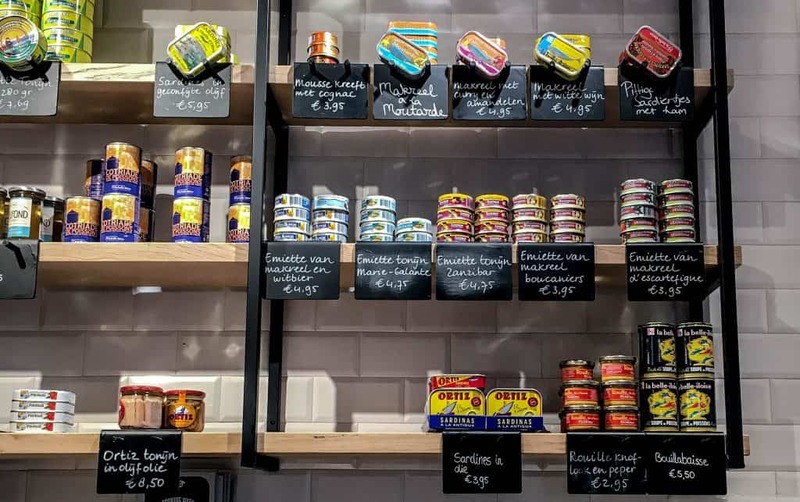 While they don’t carry Espinaler, they do have the biggest selection of canned seafood in the Netherlands, including traditional recipe Spanish and Portuguese sardines, Provençal rouille sauce, bouillabaisse, and cotriade de poissons by la belle-iloise. 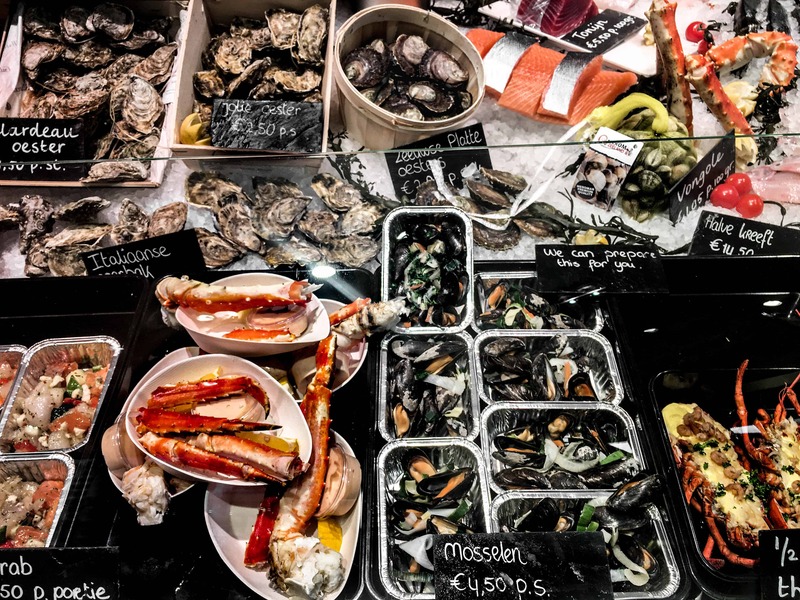 Front and center you’ll see a large glass display stocked with a rich variety of raw and prepared seafood including whole king crab legs, shrimp stuffed lobster, steamed mussels, clams, a variety of oysters, different types of fresh fish, and what looked like ceviche. They also have a number of prepared seafood dishes like lobster soup, fish and noodle stir fry and Spanish paella. To the left of the glass seafood display there’s a large billboard menu that cycles through pictures of some of their menu items including sandwiches (salmon, crab, tuna, eel, herring and shrimp croquette) and baskets of fried calamari and fried fish – also known as kibbeling = the reason I first walked in. I paid €8 for a kibbeling sandwich and a Fanta. The sandwich was everything I was hoping for. Super soft fish in a light crispy coating finished with a delicate sprinkle of seasoning salt and served on a brioche bun with a liberal smear of tartar sauce. What more could you want? A week later I had talked up The Seafood Shop so much at work that my coworker agreed to go with me. We both ordered the fried kibbeling sandwich and had a basket of calamari to share. The sandwich was great once again. The calamari was probably the most tender I’ve ever had anywhere in the world. The calamari comes in at a very reasonable €5.50 for a small or €7.50 for a large. I’ve paid a lot more in the past for really unimpressive calamari so I thought the price was more than fair. 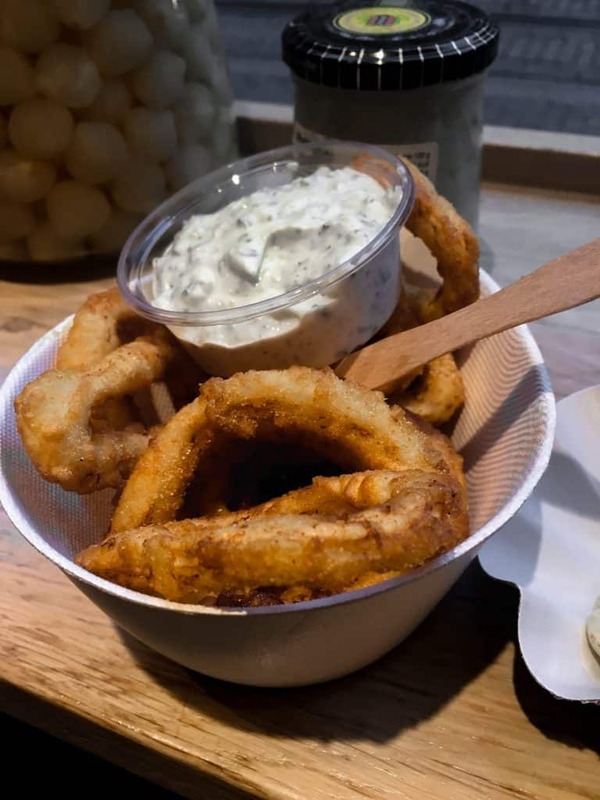 Case in point – the last time I ate calamari it was just down the road at a place on Regulierstraat where it was €16 for the same amount of calamari and it was chewy and bland. When I sat down to write this review I did a little bit of research on the business. 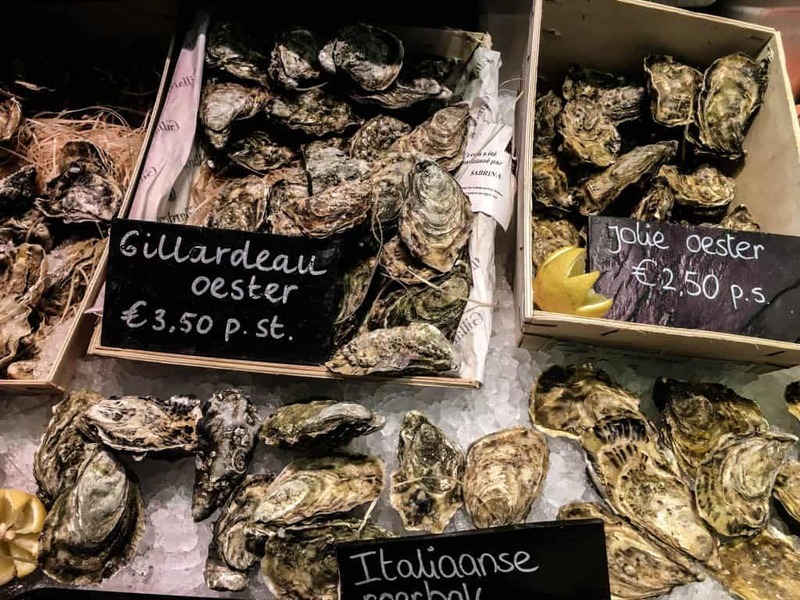 I learned that The Seafood Shop is run by the De Visscher family, who also run a restaurant called The Seafood Bar in three different spots throughout the city. 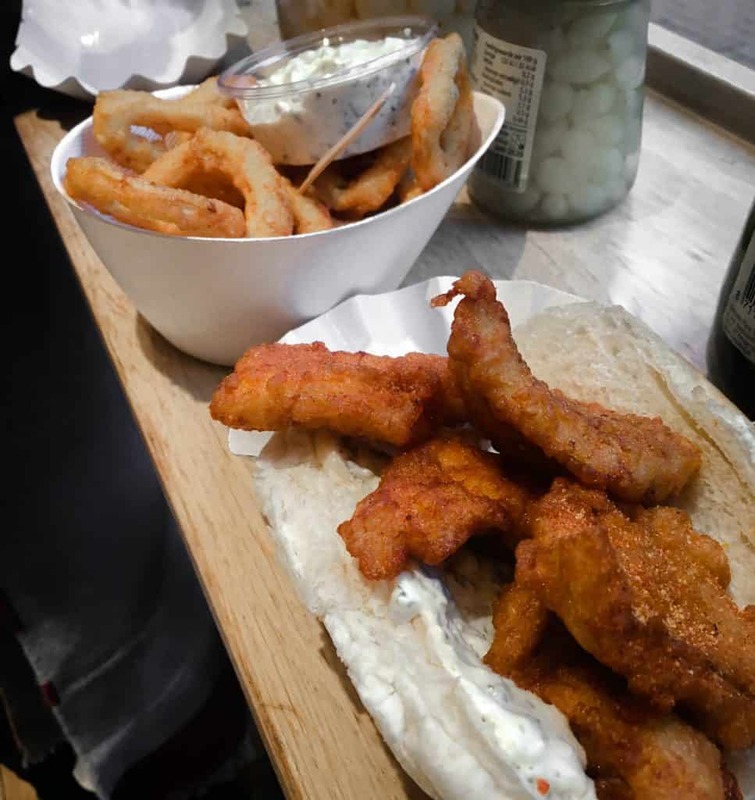 The family patriarch Fons de Visscher started his first seafood shop in 1985 and has been using the same recipe for his fried kibbeling ever since. That’s true Dutch heritage. Besides good food, it shows that the business is run well. For all that raw fish in the display, you don’t smell it. 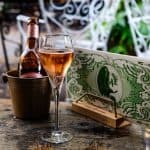 You can get everything from a basket of fried fish to caviar and champagne. There’s even a small sink in one corner to wash your hands, presumably once you’ve finished slurping down some freshly shucked oyster. They’ve put a lot of thought into the concept and the result is a really exceptional experience that is at once both modern and traditional. You can find the locations and menu for The Seafood Shop here.